There are mixed reviews on this book�some readers found it well worth their time, and another threw it away. (After reading it through, though, it seems�so it seems even they couldn�t put it down!) 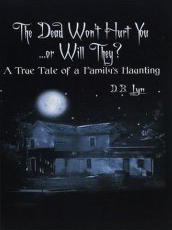 Some readers were reminded of their own haunting experiences in the past while reading this book. I myself haven�t read it, so I can�t give my own opinion.